There is no such thing as a typical kidnapping, a typical kidnapper or even a typical victim. Who can forget the video footage of badly beaten Douglas Wood pleading for his life in Iraq? Good-girl-turned-bad Patty Hearst posing with an AK-47? The sordid secret life of Josef Fritzl? The unflattering mug shots of lovestruck NASA astronaut Lisa Nowak? And did the FBI really foil a plot to kidnap Russell Crowe? I appeared on Channel 7’s Sunrise in 2010 in a video link-up with Douglas Wood to talk about his kidnapping ordeal and our fascination with kidnappings. Incidentally, you may have seen a different version of Gone in bookshops. It was originally published with this cover. 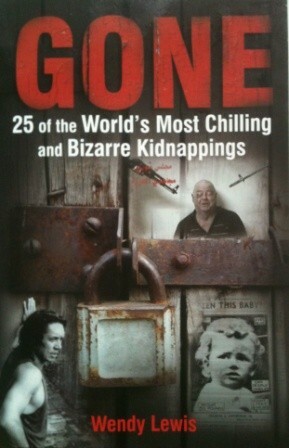 It has since been re-released in the nifty paperback version above as part of the Australian True Crime series.